AGRO-VETERINARY NIGERIA : Agribusiness, Agriculture,Cassava Flakes And Veterinary Medicine. : Crocodile as meat and medicine. Crocodile as meat and medicine. Crocodile meat is considered an ‘exotic meat’ and is sold commercially to top-end restaurants abroad, most notably in Europe and the Far East. Over 400 tons of crocodile meat is consumed every year. 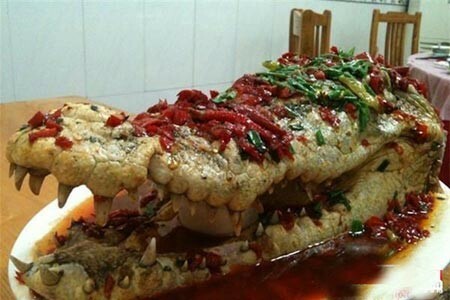 China and Hong Kong are the main importers of crocodile meat. The Chinese attribute medicinal powers to crocodile meat and it is largely considered to be a cure for ailments like respiratory diseases. Crocodile meat is also becoming a popular exotic food in South Africa and it often features on the menu for tourists and adventurous foodies. However, there remains a strong upside potential for crocodile meat on the continent.